I believe it is new. It looks like in some of his ig pics that he has saran wrap around his wrist which would indicate it was fresh ink. Thanks, I didn’t even think about the verse. 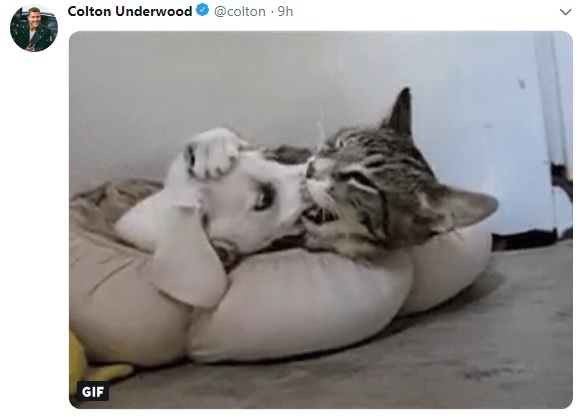 So who else agrees that Colton seems to be madly and happily in love? He's shouting from the rooftops.. It's really cute! I love it! I love that he found the woman that he wants to pursue a relationship with, and just went for it. Hoping for a romantic finale. @Mia_Leoni wrote: I love it! I love that he found the woman that he wants to pursue a relationship with, and just went for it. Hoping for a romantic finale. 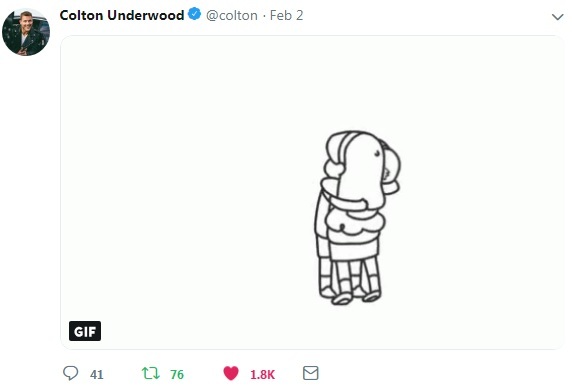 The premise of season 2 isn't to see if Cassie wanted to go back to Caelan, but rather how to navigate a friendship with him when he wants something more. It seems clear to me by the description of Young Once that the premise between the two is more so how to find a compromise between what both people want. 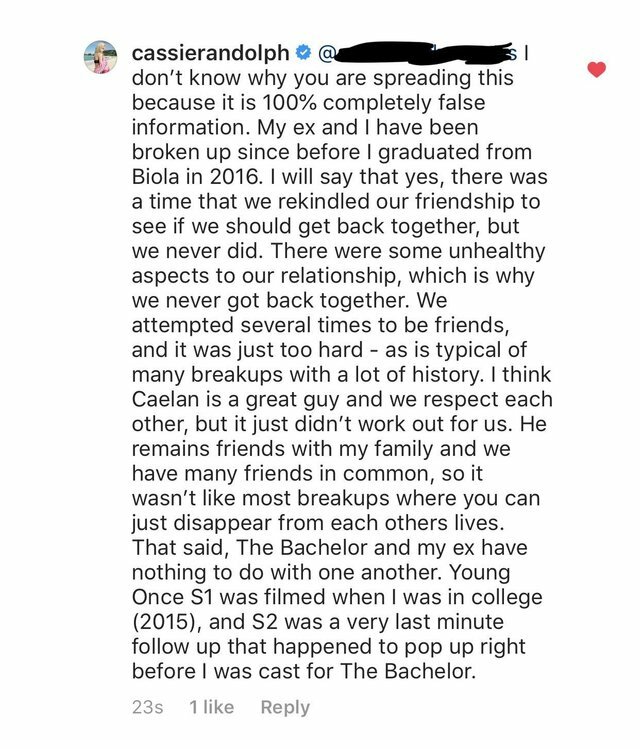 Yet, what Cassie wants is to just be friends while Caelan does not. 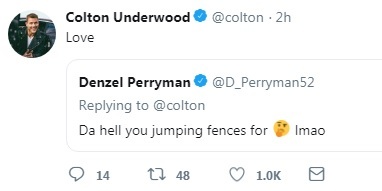 I don't thinks he's conflicted over him at all. They've been broken up for quite some time and have dated other people. Did you guys see this on reddit? 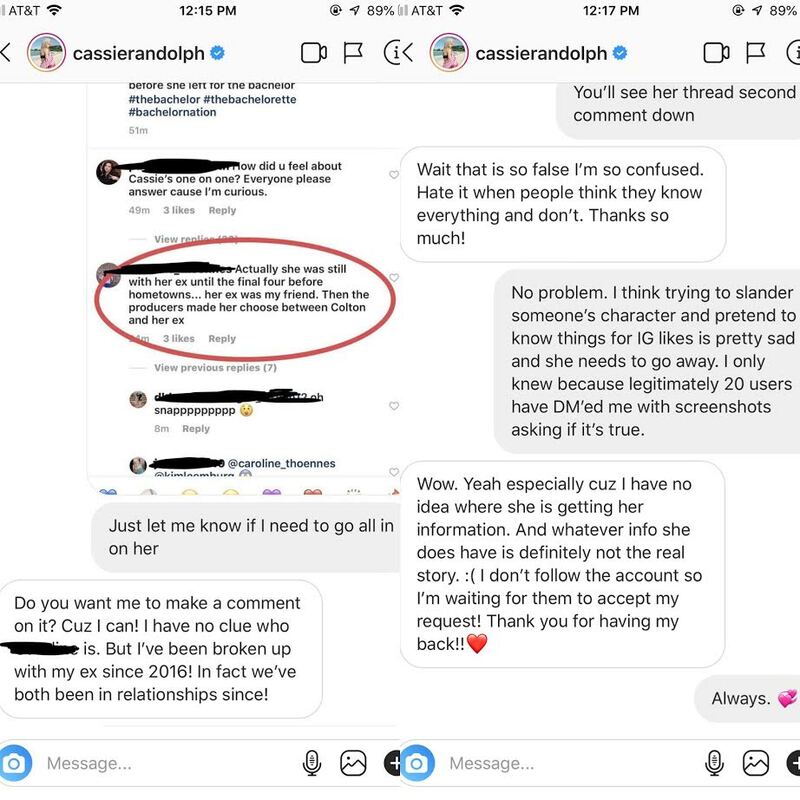 Cassie messaged with one of her fan accounts about a possible rumor. The fanaccount received permission to post online. I do think people are misconstruing the timeline of her relationship with Caelan. They are clearly broken up and have been more some time.